so once we have a working clean install of Ubuntu Server 12.04 LTS we can now proceed with Fog Server Installation. 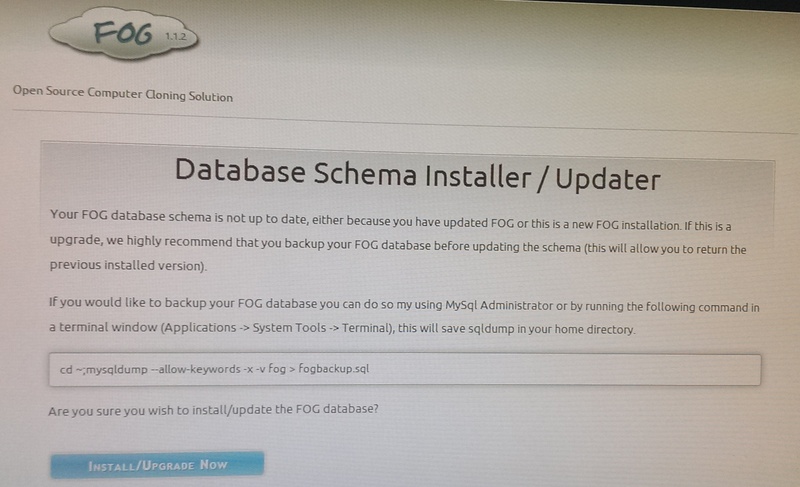 Installation of Fog Server on ubuntu 12.04 is very simple and straight forward and normally involves below steps. i have done this on my server and all works fine for me , i hope this should also work for you as well. 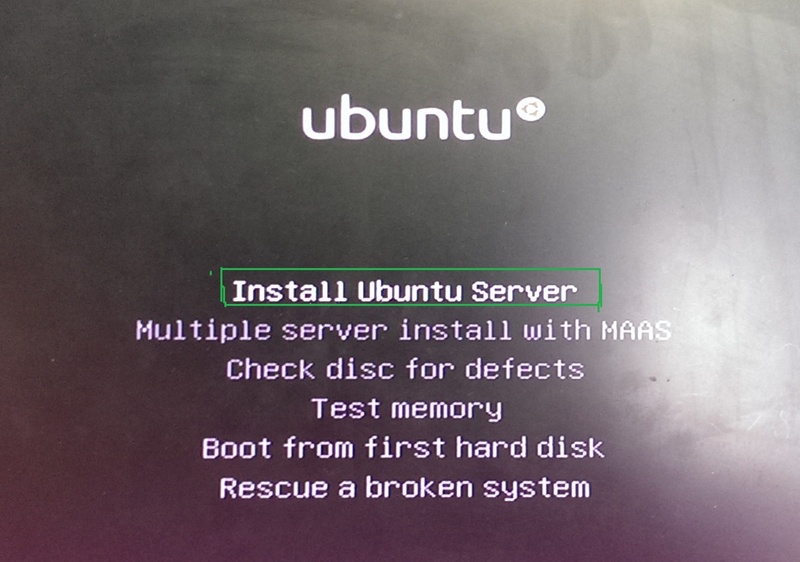 we will select option 2 for ubuntu. hit enter to proceed with install. we will keep default static IP as it is, now as I allready got DHCP server in my environment so i will not use fog’s inbuilt DHCP server and will say NO to all options now on and only Yes to last Install option. during install this will ask for mySQL root user password. i have used same root user password. enter same password root password you used earlier during install. setup should go ahead and come to final step. now Hit enter on Putty console to complete install process. and here we go , we have working fog server. once again thanks for your time and positive comments welcomed. 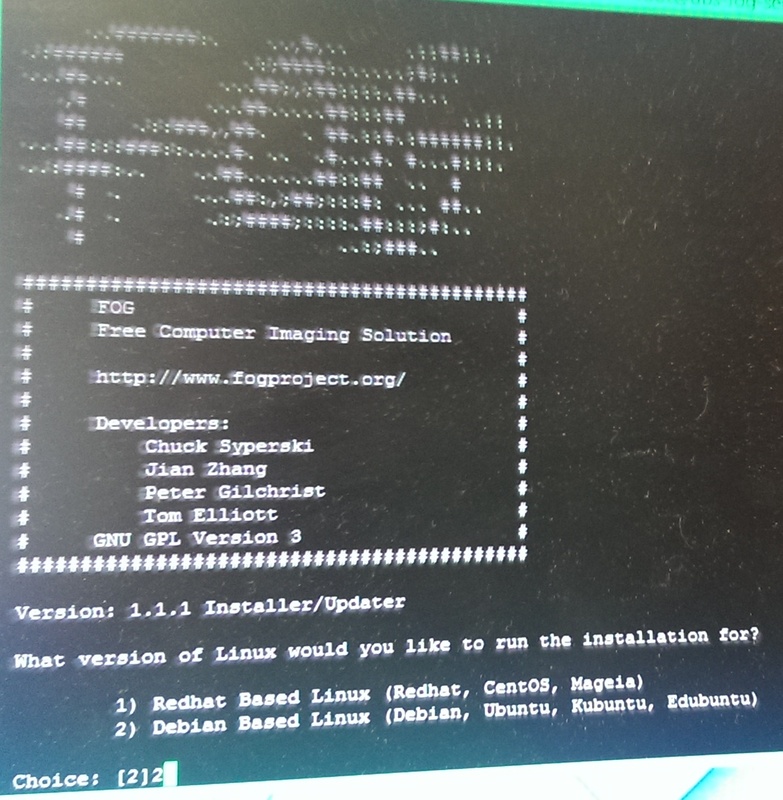 In this article I will be going through basic steps for installing Ubuntu Server 12.04 LTS, this is actually part of another article “Install Fog Server” just to cover whatever is needed for a working setup of Fog Server I am covering installation of base OS i.e. 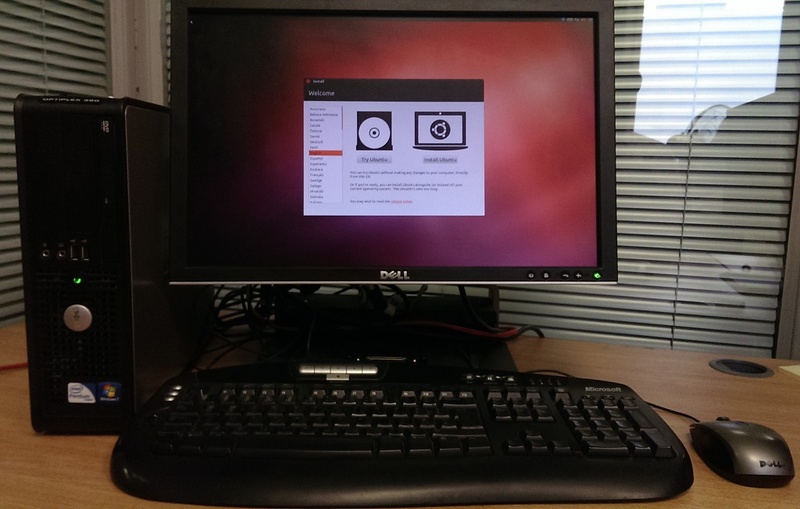 Ubuntu Server 12.04 LTS. lets start the fun, I got this old Dell PC ‘Optiplex 380’ to test on. Download ISO file from ubuntu site this is 32bit ubuntu server 12.04 “not latest” but I want to use this as it works perfectly fine, had some issues with 14.04 :-(. once you got CD ready boot your PC/Server from that CD and enter the Install mode. Just follow very basic steps like keyboard, language selection and keep hitting ENTER. Important step is Static IP as for this server we need static IP , during install it will try to get IP from your DHCP server if you have one running, if not it will say failed to get IP and give you options to manually enter IP, or even if its taken IP automatically, then it will present you with hostname Screen. now here I will hit “Go Back” so that we can define IP parameters manuually. Hit Go Back and you will get manually IP setting scree. go through manual IP setup process, then simply follow the instructions and best to use “Guided Use Entire Disk” option for disk format etc. so this will actually utilize entire disk . 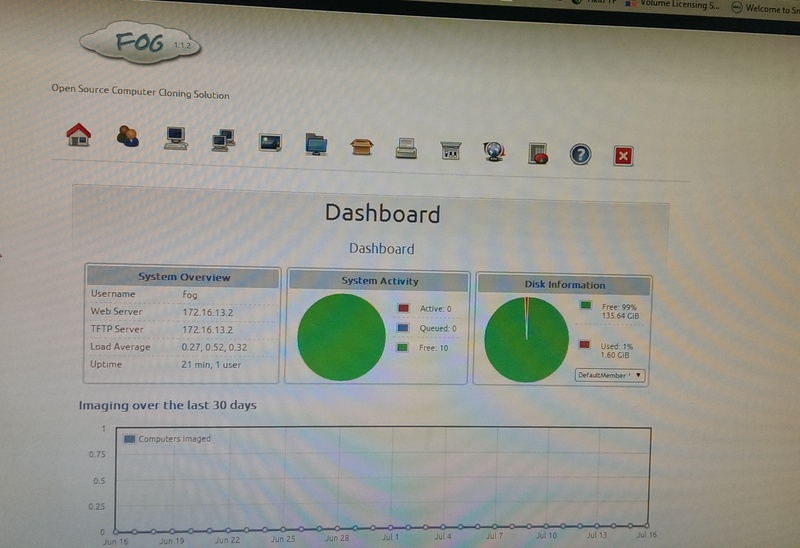 at select and install software screen we will just select, SSH server, so that we can get in via putty etc remotely. Now we need to create password for Root User so we can login using root remotely via putty . login with standard username/password you created during install then enter below command. this will ask you to enter your standard user password twice then ask you to setup new password for root, here you can define any good password for Root user. now we can login remotely via putty using IP address with root user, i would recommed doing “apt-get update” and “apt-get upgrade” just to install aviable updates etc. with this you should have minimal running Ubuntu server, ready to install Fog server or any other applications if you have plan for. thanks for reading. positive comments welcome.